Story Time at the Scholar! Join us for Story Time at The Midtown Scholar. This event is free and open to the public. Story Time with St. Stephen's at the Scholar! Join St. Stephen's Episcopal School Dean of Students and Summer Camp Director, Emily Hand for Story Time at The Midtown Scholar. This event is free and open to the public. Storytime and Crafts at the Scholar! Join us for a morning of storytime and crafts! Acclaimed illustrator and children’s author Amy June Bates joins us for a special storytime with her daughter and co-author, Juniper Bates! Their new children’s book, The Big Umbrella, offers a timely and timeless picture book about acceptance. In the tradition of Alison McGhee’s Someday, beloved illustrator Amy June Bates makes her authorial debut alongside her eleven-year-old daughter. By the door there is an umbrella. It is big. It is so big that when it starts to rain there is room for everyone underneath. It doesn’t matter if you are tall. Or plaid. Or hairy. It doesn’t matter how many legs you have. Don’t worry that there won’t be enough room under the umbrella. Because there will always be room. Lush illustrations and simple, lyrical text subtly address themes of inclusion and tolerance in this sweet story that accomplished illustrator Amy June Bates cowrote with her daughter, Juniper, while walking to school together in the rain. Amy June Bates has illustrated many picture books, including Sweet Dreams and That’s What I’d Do, both by singer-songwriter Jewel; Hillary Rodham Clinton by Kathleen Krull; and The Brothers Kennedy, also by Kathleen Krull. She lives in Carlisle, Pennsylvania, with her husband and three children. Juniper Bates was in sixth grade when she and her mom, Amy June Bates, came up with the idea for The Big Umbrella while sharing an umbrella in a rainstorm. Juniper loves music, skiing, books, and puddles she can jump in. Juniper lives in Carlisle, Pennsylvania, with their family and dog, Rosebud. Join us for a morning of storytime and crafts! 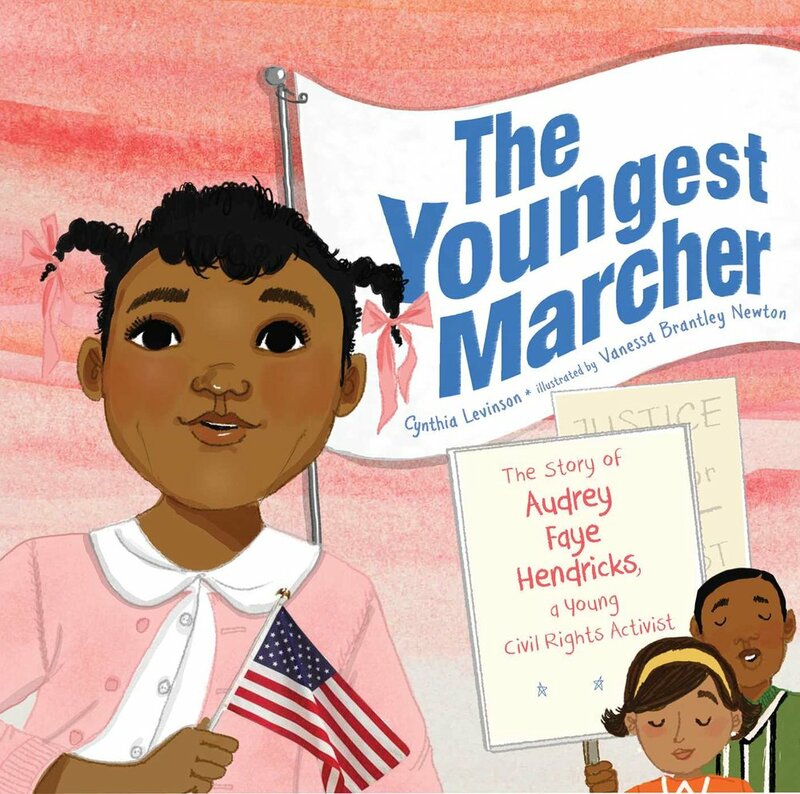 In honor of Martin Luther King Jr. Day, we'll be reading "The Youngest Marcher", which is about the youngest known child to be arrested for a civil rights protest in Birmingham, Alabama, 1963. All little scholars are welcome for this informative story! Shelly Lipscomb Echeverria joins the Midtown Scholar for a children's art workshop, story time, and book signing. Shelly will sign copies of her new book, My Elephant-Sized Dream. Storytime & Dance at the Scholar! Join us in the Little Scholar for a kid-friendly morning of story time and crafts! This program is free and open to the public.